Congratulations to all those who received the Faith For Life Awards on the 6th June. This is the culmination of a whole year of journeying together. May you continue to find the link between your life and your call of faith received at Baptism. FAITH FOR LIFE AWARDS CERMONY. Recently in Holy Cross Diocesan Centre Dublin the Faith for Life Awards were presented. 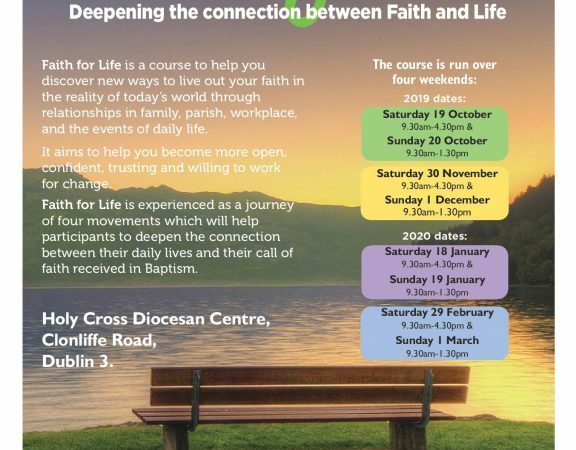 Faith for Life is an adult faith course designed to help discover more energising and empowering ways to live out faith in the reality of today's world, through relationships, family, home, workplaces and the events of daily life. It aims to help the person to be more active, open, faithful, confident trusting and willing to work for change. 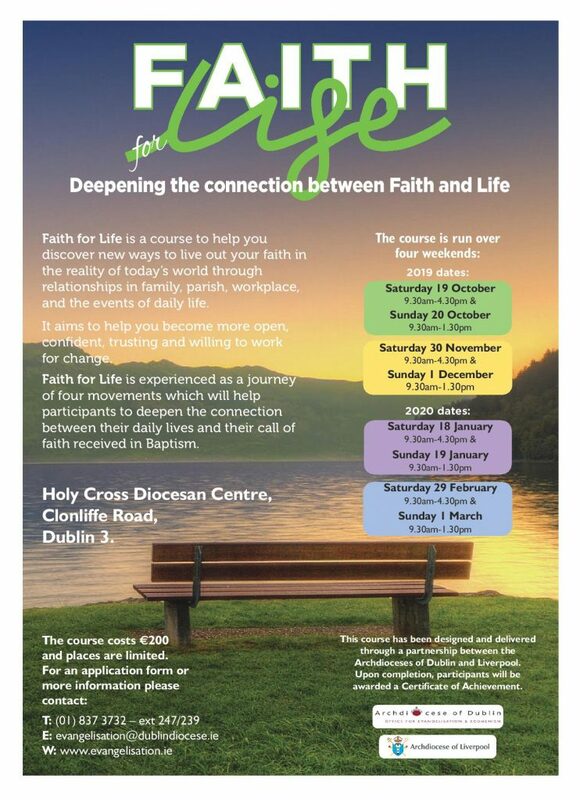 The course has been presented in Dublin Diocese for the past 5 years. 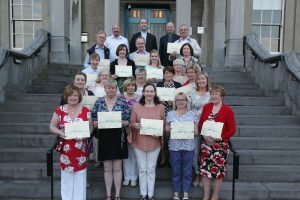 Pic shows the group who received their certificates at the recent Faith for Life Awards in Holy Cross Diocesan Centre.